If you’re new to life in the kitchen, or you’ve just ventured out on your own, making a variety of dishes – especially healthy ones – can be frustrating if you don’t have the right tools. Our kitchens are often epicenters of clutter. Countless cooking utensils lay scattered in drawers and cabinets some dull (and dangerous) knives may be sitting on the counter. 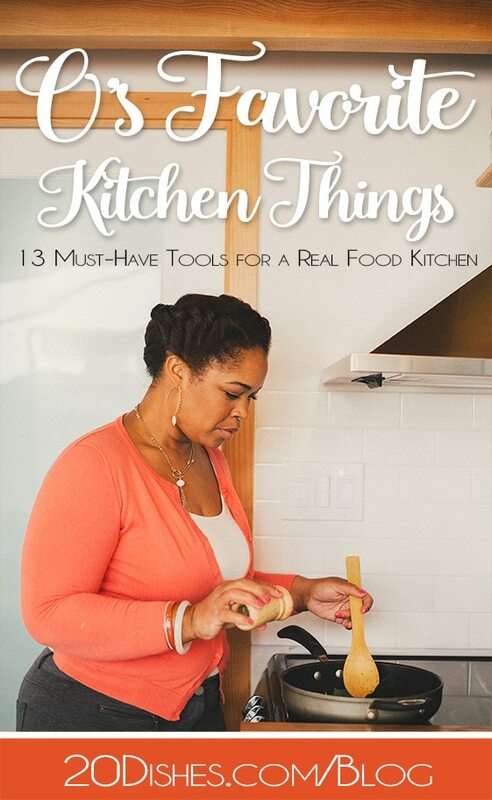 Amid all that clutter, home chefs often find themselves with many things that they never use. Today, I (Orleatha) share my favorite tools that I feel are most essential to get you from zero to at least semi-hero in the kitchen, so that you are ready to go on the quest of making delicious home cooked meals quickly and efficiently. In this post I talk about the top 13 tools that I personally use all the time in hopes that it will help you on your real food journey. I also share a few pro tips throughout the post, based on my decades of cooking experience. 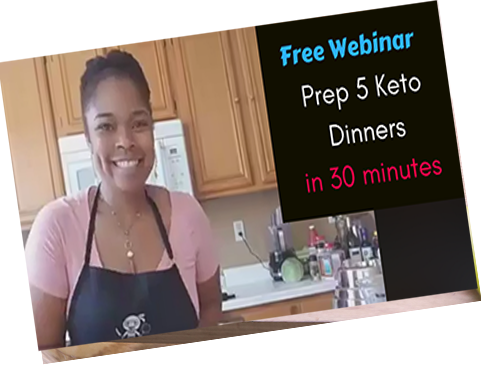 I want food preparation and cooking to be fun, easy, and enjoyable for all. You don’t have to buy all of these things at once. You can totally add to your kitchen tool collection over time, slowly switching out old, useless equipment for new items that you will actually use. Building up a set of tools that feels comfortable for you can take time and depends on your preferences and budget. For a measuring spoon, look for ones with a long handle (to reach into jars) that are also detachable. I also prefer a combo spoon with one narrow end that can fit into spice jars, and one round end for liquids narrow-shaped spoons instead of round. Pro Tip: I like to have two sets of measuring spoons when I’m prepping my weekly meals. I use one for dry ingredients (like spices) and one for liquid so there is no need to keep cleaning between measuring from wet to dry. The Box grater is a genius, multi-talented workhorse of the kitchen. 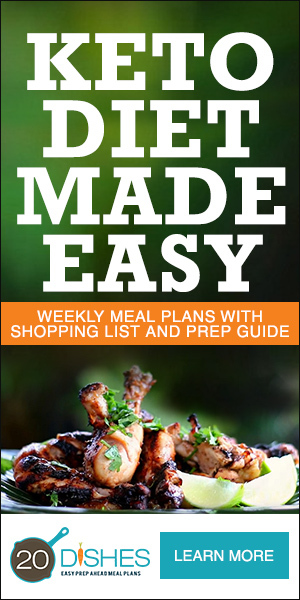 From making homemade pasta and bread crumbs to cauliflower rice and so much more! It’s simple, it’s low-tech, it lasts for ever, and it’s brilliant. I have even used it to grate hardened brown sugar boulders and cold butter for pastry blending. Pro Tip: When looking for a grater, it’s ultra important to look for one that is not only durable but comfortable to use. An oil mister is perfect for cooking, grilling, sautéing, roasting and basting. It is also great for spraying your favorite oil on salads, pasta, veggies, breads, pizza, chicken, beef and fish. Since you can refill them, they are very cost effective and great for the environment. I’d rather not to pay more for added chemicals or contribute to the waste in our landfills. It also doesn’t harm the ozone layer since it is non-aerosol sprayer that doesn’t use chemical propellants. Pro Tip: Buy one for each of your favorite oils so that you always have them on hand and easy to use. They’re great for avocado, olive, sesame, and a bunch more oils. Before discovering that I reacted negatively to traditional wheat pasta, I used to eat it every week without fail. Thankfully, I’ve discovered a new breed of noodles – no, not rice, quinoa, or corn. The latest culinary rage is spiralized veggies, with zucchini leading the charge. Enter my spiral slicer. It that turns fresh veggies into faux-noodles (zoodles, if you will, but I won’t). It isn’t just for the carb-averse either. Everyone from home cooks to restaurant chefs are spiralizing. Most models are about the size of a large toaster and function like a giant pencil sharpener but I discovered one that is not only small and compact (taking up less room than an electric can opener) but I don’t destroy my fingers trying to clean it because it’s dishwasher safe! Pro Tip: When selecting a spiralizer, make sure to consider the overall size of the unit (i.e. where are you going to store it? ), ease of use, and whether it has to be hand washed or can go in the dishwasher. P.S. Check out my video demonstration here of the Veggie Master III and you’ll see why I love it so! P.P.S. Need some veggie noodle recipes to get you going? We have you covered with 30 Spiralized Veggie Noodle Recipes here. I will admit that the tortilla press could be considered a kitchen unitasker of the worst sort — it can really only be used for pressing tortillas. And yet — while you can totally make tortillas without one, I just can’t get over how perfectly a press makes tortillas! I can never, ever get them as thin and even with a rolling pin as I can with this press. Unitasker or not, a press like this makes complete sense of you eat a lot of tortillas in your house – especially if you have food sensitivities and have to purchase specialty tortillas – those things can really add up! You place a golf-ball- sized piece of cassava flour dough between the two plates, squeeze them shut, and a perfectly round tortilla is formed – easy peasy. We all know that homemade tortillas are way better (and cheaper) than buying the pre-made ones at the store. This cast aluminum tortilla press is small enough to easily store and is lightweight so you don’t have to lug it out yet it still gets the job done. Pro Tip: Cut parchment paper into a 6″ disk and layer that between the dough and the press for even easier cleanup! Ready to take your cooking skills to the next level? A really great knife and some basic cutting tips could be the thing that takes you from being a novice cook to chopping vegetables with ease. Ah, the transformative power of sharpened steel. Whether you’re dealing with fruit, vegetables, herbs, or meat, you are going to need to chop, slice, or dice without killing yourself in the kitchen. The two most important knives in your arsenal are a good-quality chef’s knife to tackle the big stuff, a serrated knife to handle breads and tomatoes, and a paring knife that can handle the other little things. Pro Tip: A good knife should feel comfortable and well balanced in your hand and be weighted enough to take some of the work off of your wrist so that you don’t tire easily. The InstantPot® has been all the rage and I have to admit that it took me a LONG time to get my own. Partly because I’m a rebel and partly because I was afraid of pressure cookers in general because when I was a kid, I heard one explode and I think I had PTSD. Well my friend and 20 Dishes co-founder, Jessica, convinced me to snag one and I haven’t looked back! I call it the Swiss Army Knife of multi-cookers. 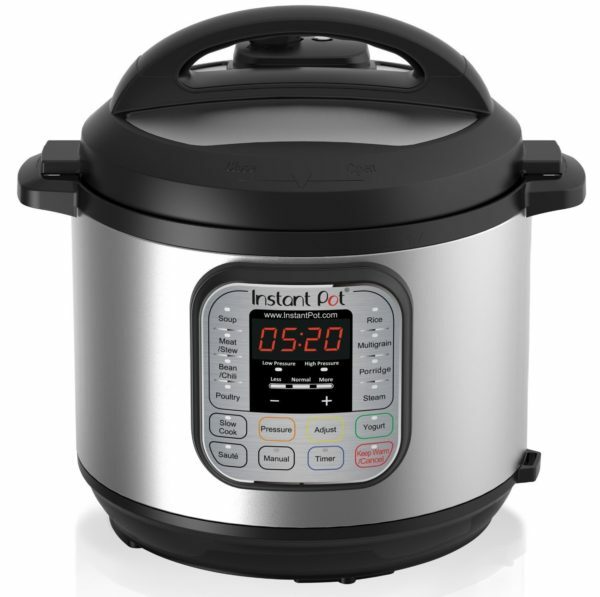 It’s designed to replace your slow cooker, rice cooker, pressure cooker, Dutch oven, and more. Heck, it even browns meat and makes yogurt! Say what? In case you can’t already tell, I’m a gadget girl and being such, I have limited space to store everything. So if a gadget finds a permanent home in my kitchen, it’s got to pull its own weight and hopefully do more than just its original task. In fact, I get all tingly when I figure out new uses for gadgets, and ice cream scoops are no exception. What can I say? These are the things that tickle my soul! So, you want to have a uniform stack of pancakes? Grab that ice cream scoop. It’s a great tool for scooping batter onto the griddle. Making muffins or cookies? Dividing muffin batter or cookie dough evenly can be a bit tricky, which is why I like grabbing my ice cream scoop. I do a scoop into each muffin well to start, so there’s less estimating by eye, and I scoop cookie dough directly onto my favorite silicone mat. Pro Tip: Love meatballs, but don’t love the mess they make? Use your ice cream scoop! It allows you to have meatballs that are the same size and shape for even cooking. They also keep my hands clean and make for speedy prep! A good rimmed baking sheet is something every cook should have in their kitchen. They’re one of those essential items, like rolling pins or knife sharpeners. They are a very versatile piece of cookware and can be used for more than you might think. These work horses work not only for baking cookies and in catching a pie’s overflow juices but for savory dishes as well—roasted vegetables, crispy chicken thighs, a whole fish, or toasting nuts. They’re also handy for carrying things to other parts of the house, like to my deep freeze, or upstairs when a kid is under the weather. Pro Tip: Want your food to get crispy instead of stewing in its own juices? The solution is to allow air to circulate all the way around foods that will release liquid while they roast. Fit a wire rack into your sheet tray and proceed with roasting and voila! Crispy exterior! This non-stick, flexible silicone mat replaces parchment paper and greasy sprays when used in the oven for baking. It also dissipates heat rapidly to prevent burning of cookies or pastries. Since nothing sticks to silicone baking mats, they are very easy to clean. A quick soap and water clean up is all you need. There is no scrubbing, soaking, or other cleaning hassle. Pro Tip: I love to use my silicone baking mats to knead dough on. It’s great for kneading pizza, bread, or even pie dough. The dough doesn’t stick to the mat and, although I still need to use cassava flour to incorporate into the dough, I don’t have to worry as much about sticky dough clinging to the kneading surface. Obviously cutting boards protect your expensive counter top from damage resulting from the sharp edge of the kitchen knife, but they also protect the edge of the knife from damage from the countertop. They can be used to handily move the chopped or cut food to a skillet or pot, keeping most of the mess in a small easy to clean area. I like a polypropylene board because they are lightweight, inexpensive, and not quite as prone to staining as wood. When nicked, they can be replaced far more inexpensively than wood. They can also be easily sanitized in the dishwasher. Pro Tip: Dedicated cutting boards—one each for meat, seafood, poultry, and produce—are ideal, but not necessarily practical when space and funds are tight. Just be sure to sanitize your board after working with raw meats or seafood, to avoid cross-contamination. I hate chopping garlic. It’s sticky, it stinks up my cutting board, stinks up my hands, and perfumes anything that comes close to it with its not-always-welcome aroma (think strawberries – ick). OK, so crushing a clove under a chef knife is not rocket science. The garlic stays in its skin and travels easily from board to pan. Slicing is manageable, but anything beyond a very rough chop is a pain. The most common garlic-press complaints include that they are “hard to clean” and they “hurt my hands.” I’ll admit, those old Town Car-style models were tough to grip and required a toothpick to get out all the stuck bits. But technology and design have improved. A lot. Sturdy ones will not only crush garlic with one squeeze, but its little cleaner will press out the spent peel in one swift reverse motion. Yes, you can put a whole clove in there without peeling. Pinky swear. A well-stocked kitchen ought to include, at the very least, a vegetable peeler, hand-operated can opener, and a pair of tongs. Tool sets are a great way to ensure you have all the necessary pieces to make your prep-work easier. Having at least one set of tongs is going to make your prepping and cooking experience so much more pleasurable. They’re like an extra set of invincible hands, for when you can’t put your own into a vat of hot oil, onto a grill grate, or into a pot of boiling pasta. Pro Tip: Can’t reach something on your top pantry shelf? Grab your tongs and give your arms an Inspector Gadget-like extension. What about you? What are your favorite kitchen tools? The gadgets you can’t live without? Leave a comment below!